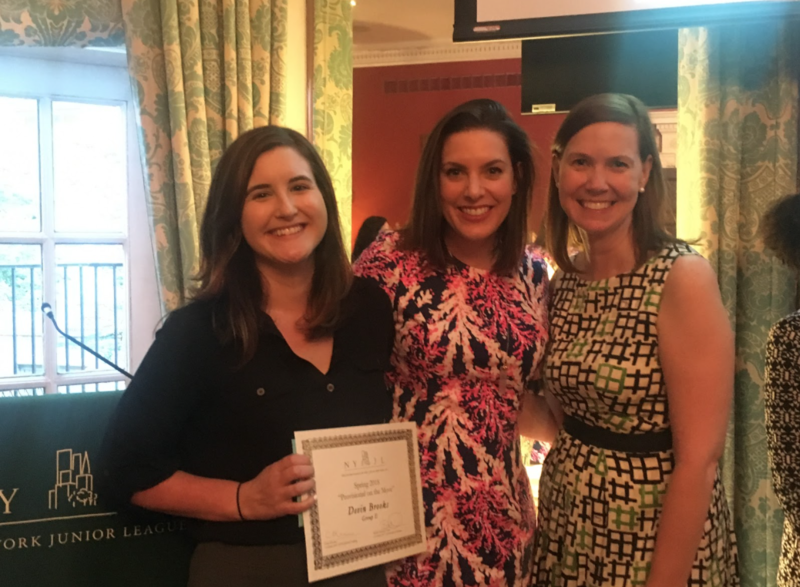 Please join the New York Junior League in congratulating our 2019 Outstanding Sustainers and Outstanding Volunteers! Toast to this year’s honorees and hear stories about them from their friends and family during the upcoming Outstanding Sustainer and Outstanding Volunteer Announcement Party, taking place on Friday, November 16, 2018 at the Astor House. Our Outstanding Volunteers for 2019 are Beth Batiuchok-Colon, Shelby Spears Carroll, Dayna Cassidy, Leighanna Morbey and Allison Davis O’Keefe. Our Outstanding Sustainers are Robin Stratton Rivera and Dee Dee Scarborough. The awards represent the highest honor that a NYJL active or sustainer can receive. Join us at this year’s Announcement Party to make the evening an extra special event for this year’s honorees. All members, friends, and family are invited to attend. Congratulations again to these extraordinary women who will be honored on February 23, 2019 during the 67th Annual Winter Ball at Pier Sixty. The New York Junior League recently honored the latest class of provisionals for completing their requirements at the Spring Provisional Graduation. The ambitious and generous 196 women who make up the Spring 2018 provisional class, represent one of the largest provisional classes in NYJL history. President, Suzanne Manning, congratulated the women and welcomed them as incoming Active Members of the NYJL. The 2018 Provisionals on the Move, honored for their character, leadership, volunteerism, and other qualities that will make them a successful active Junior League member, are: Alexandra Carmel, Brittany Dotson, Cait Gillespie, Christina Mangels, Delainey Farris, Devin Brooks, Lauren Cook, Lee Fabiaschi, Natalie Rodriguez, Regan Purcell, Samantha David. Jennifer Barnes acknowledged that she enjoyed learning about the NYJL mission and volunteering with the Playground Improvement Project during her Provisional training. Caley Taylor and Sabrina Fruci bonded during the neighborhood assignment project and are also both excited to volunteer more during their NYJL careers. 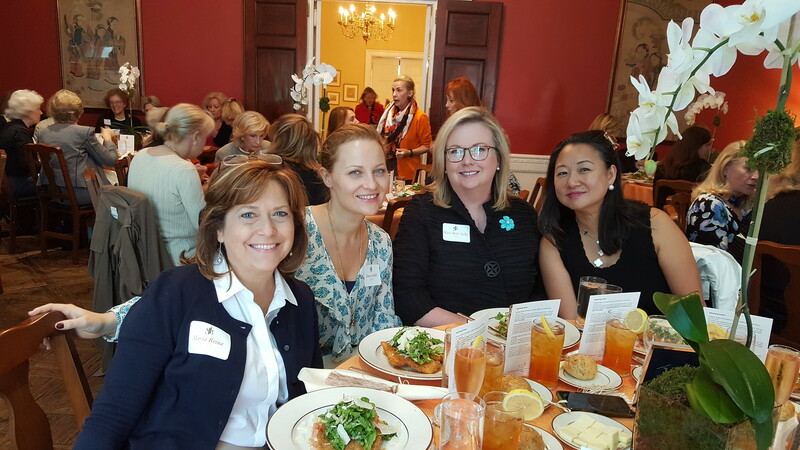 Meshal Rao served as social chair of her provisional group, planning happy hours and other events with her fellow Provisionals, and is excited to continue to meet other members in the upcoming Junior League year. Veronica Rogala was also drawn to the NYJL for the opportunity to socialize with like-minded women, and counted the Provisional Graduation as one of the most exciting moments of the Provisional semester. The New York Junior League is thrilled to have these new members become Active Members, and encourages other interested women to attend an upcoming orientation to learn more about the NYJL. 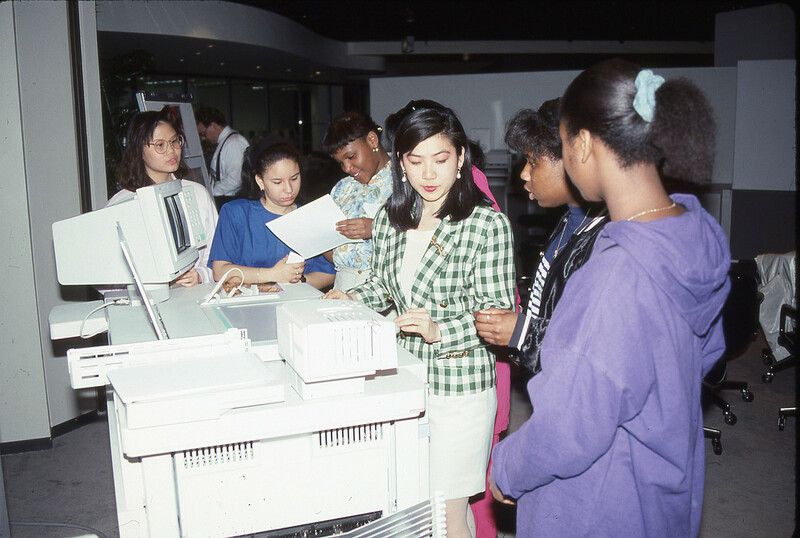 In Spring of 1992, the Great Opportunities for the College Bound committee of the New York Junior League held a career awareness trip to Xerox headquarters. 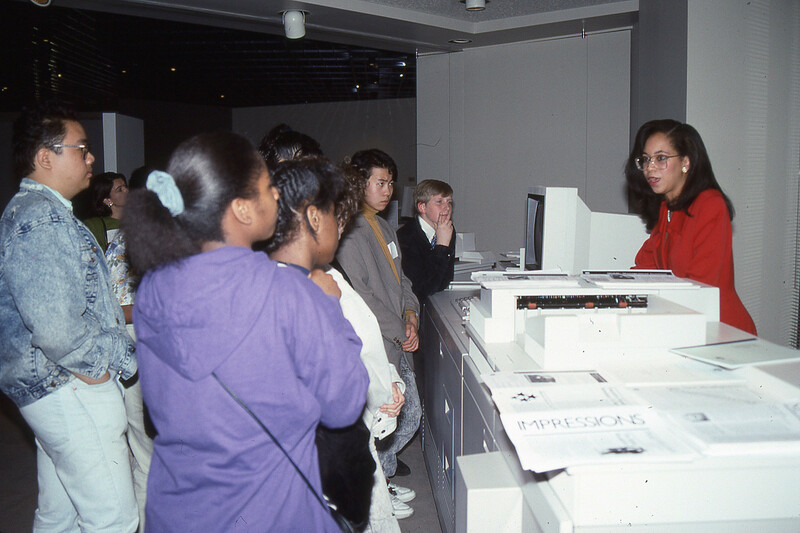 During their visit, students were presented with expert panelists and given demonstrations of Xerox equipment.The goal of the Great Opportunities for the College Bound committee was to present career seminars to college-bound high school students from the NYC School System, encouraging motivated young adults to explore various career opportunities. During their visit, students were presented with expert panelists and given demonstrations of Xerox equipment. Over twenty-five years later, committees across the NYJL continue this goal of encouraging children and students to reach their potential and become future leaders. Learn more about the Community Councils and the work the NYJL does throughout New York City with the Adult Education & Mentoring Council, Child Health & Welfare Council, Children’s Education Council, City Impact Council, and Culture & the Arts Council. Calling all NYJL volunteers! NYJL’s Sustainers host a variety of events each month and you are invited to attend, as they are open to all volunteers from provisionals to sustainers. This month’s topics range from how to become ten percent happier with ABC News Anchor, Dan Harris, to celebrating St. Patrick’s Day with a luncheon at the Astor House. 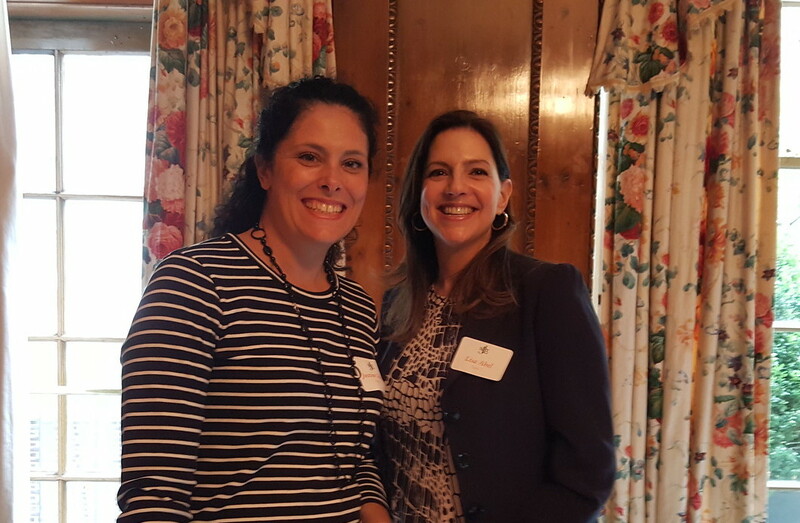 The Sustainers’ perspective, experience as expert volunteers, and extensive network of contacts with direct service and advocacy groups in the community make them a valuable resource for the NYJL’s Community Program and Support committees. Each year, the Sustainer Program offers a myriad of inspiring, enlightening and entertaining speakers. From best-selling authors to a beauty editor’s inside guide to glamour, the program illuminates some of today’s most exciting fields and areas of interest. Renown writers, artists, historians and other expert observers of the social and cultural scene regularly contribute to the outstanding annual program. Your participation is welcome and encouraged! 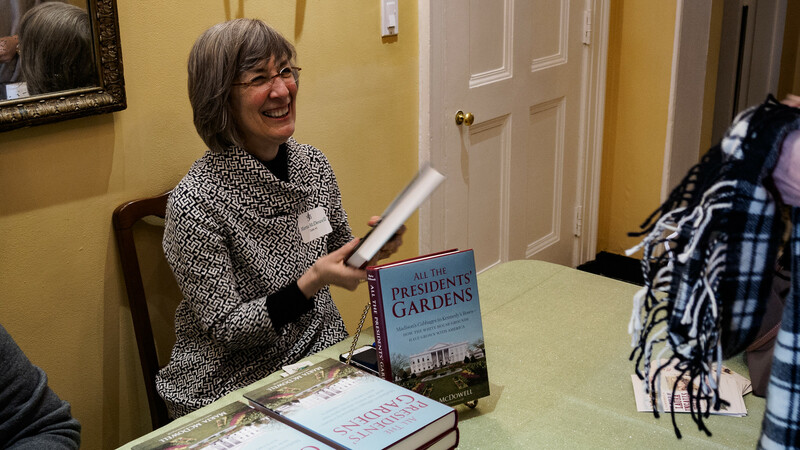 Author Marta McDowell during the book signing. Tuesday, March 6, 12:30–2:00 p.m. The Daytime Book Group meets monthly over lunch in the dining room. This month’s selection is Ego is the Enemy, by Ryan Halliday. Stories about famous figures who achieve greatness only after conquering their egos. For information and reservations, please see details in the Friday Flash. Thursday, March 8, 11:30 a.m.–2:00 p.m.
Join award-winning ABC News anchor Dan Harris as he shares his personal journey of self-discovery through meditation. Controlling that voice in your head which compels you to check your phone constantly, snap at your loved ones, and make rash decisions can help lower your blood pressure, rewire your brain, and make your life 10 percent happier! Cost is $45; beverages are additional. This event is currently sold out. To join the waitlist, please see details in the Friday Flash. Cead mile failte! 100,000 welcomes! Our bagpiper’s merry tunes will greet your arrival at the Astor House for our special St. Patrick’s Day lunch. Enjoy Chef John Donnelly’s family recipes from the towns of Omagh and Fintona. Cost is $35; beverages are additional. Make your reservations today! Everyone Loves to Play Mah Jongg! Enjoy a lively game, and then stick around for a Dutch-treat lunch. For further information, or to be added to the email list, please see details in the Friday Flash.